Although the Atlas and Ascent share a common mission as three-row SUVs, they go about achieving it in distinctly different ways. 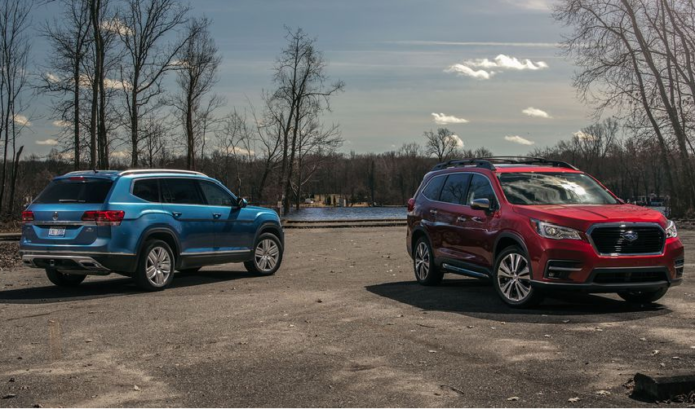 It’s been decades since traditional full-size station wagons disappeared from the suburban landscape en masse, but their spirit lives on in three-row crossovers such as the 2019 Subaru Ascent and the 2019 Volkswagen Atlas. Graced with the artifice of rugged capability and free of the minivan stigma that still lingers in a large swath of buyers, crossovers have become the de facto choice of the masses who have masses of people and stuff to transport.